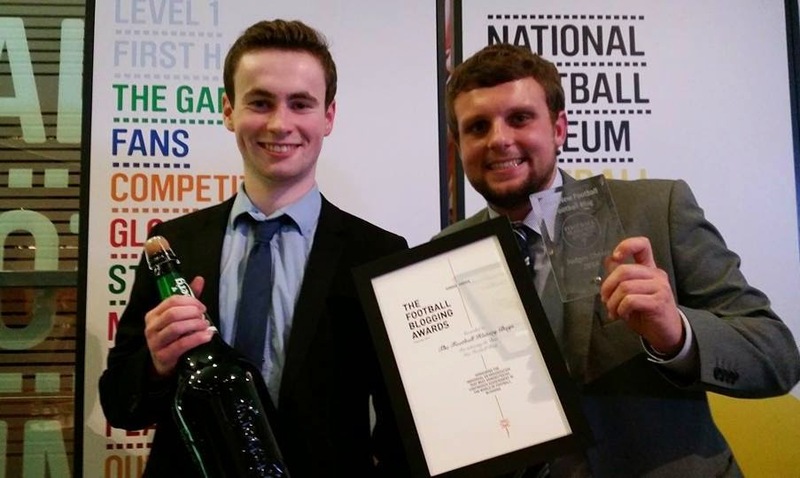 The Football History Boys Win Major National Award! Ben (left) & Gareth (right) receive their 'Best New Blog' award! The Football History Boys were founded in February 2013 in Gareth's bedroom of our University house in Swansea. We first set out to compile a list of the top 50 players of all time but this grew to 100, 150 and 200 before we settled on the "Top 250" shortlist. 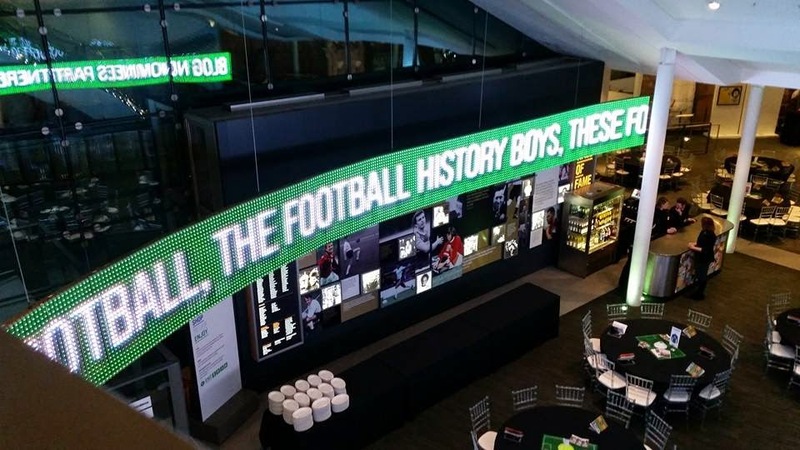 Our website then developed into us making the most of our history degrees and combining it with our love of football, The Football History Boys as we know it were born! One of our aims became to receive a nomination for the Football Blogging Awards, something that honoured casual football writing from across the globe. It was an event that much like our site had grown from almost nothing into a major national award each year and we were privileged to receive our nomination for "Best New Football Blog" in October 2014. With our website now raking up views of over 200,000 we just wanted to say thank you for the votes and support over the past 20 months! TFHB's name up in lights! Ben and Gareth headed up to the Manchester National Football Museum on Thursday 13 November 2014 to the award ceremony joined by some prestigious company such as The Sport Bible, Redmen TV, Arsenal Fan TV, My Old Man Said, Sam Tighe and Anfield HQ. Our table had some esteemed company with Paddy Power, Addicted to Spurs and Grand Old Team. 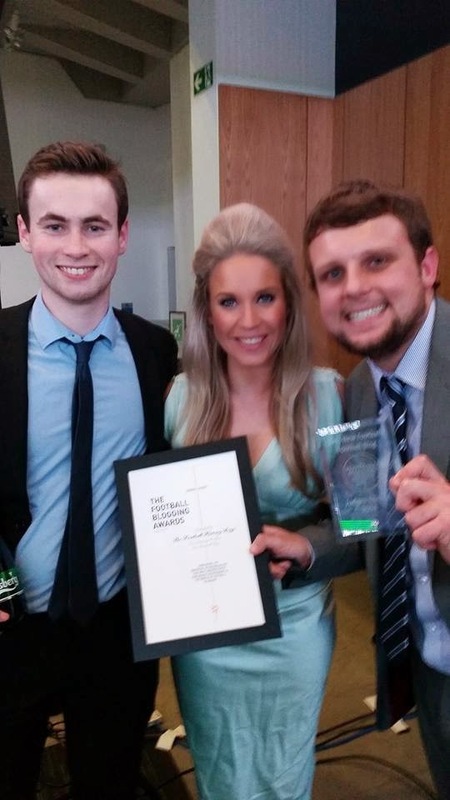 We want to send a big congratulations to Anfield HQ who won the award for 'Best New Blog' as voted for by the public. However when it came down to the judges vote we are delighted to say TFHB were victorious and the independent panel decided we offered something differed to the other websites out there. This was an incredible achievement for us, particularly because of the niche nature of our site so we just wish to say a big, big "thank you" to those of you who voted for us! We just would love you to connect with us if you haven't yet so please head over to our Twitter: @TFHBs, @GJ_Thomas and @Benny_J and our Facebook. Keep reading our pieces, keep sending us your ideas and remember, "Like Football? Love its history!"! With FBA's host and Sky Sports News' Kate Riley! Would you take a look at our brand new website?